This chapter aims to offer an overview of European ADR as it concerns insurance-based investment products. To do so, it charts the development of ADR in the EU, with particular reference to financial services. It then considers particular European ADR schemes that concern insurance-based investment products. 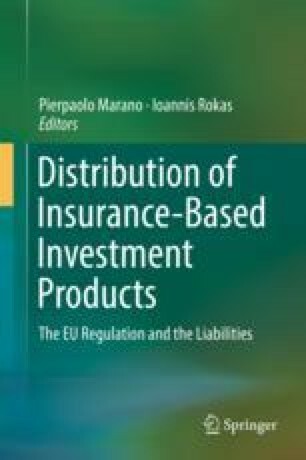 It further examines the development of FIN-NET and the harmonisation of ADR in relation to insurance-based investment products across Member States. In doing so, the chapter examines some of the challenges that face Member States and the EU in promoting ADR in this area, and how further progress can be made.